Posted on July 26, 2016 at 3:48 am. Thrills.com is giving away cash, free spins and casino bonuses over the next four weeks in honour of the upcoming Rio 2016 Olympics. There is also a $2500 raffle draw and a Spanish getaway to Costa del Sol up for grabs. The more you play on the casino’s selected Bonus-O-Metre pokies throughout the Epic Summer Games promotion, the more tickets you will earn for the chance to spend a week in sunny Malaga. To gain entry to the cash raffle, you must accumulate enough Bonus-O-Metre points to cross the finish line before the promo ends on August 28, 2016. 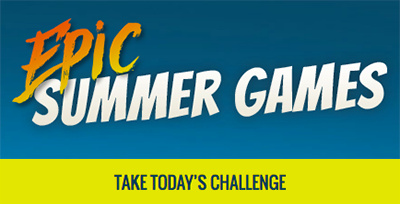 Even if you don’t win the raffle or the holiday, you can score stacks of other rewards every day of the Epic Summer Games. Each day of the promotion comes with a new challenge, such as a free spins riddle, a deposit minimum, or an online pokies tournament. To win, all you have to do is complete the task of the day. Thrills has already given away thousands of dollars’ worth in match deposit bonuses, free games, random prizes, Super Spins and more. You need to get in quick to take full advantage of each daily challenge, as some rewards are only available within specific time slots. For more information, including terms and conditions, see the ‘Epic Summer Games’ page on the Thrills website. Head over to Thrills.com today and get started. If you’re a new customer, create an account and make a real money deposit to score a matched cash bonus up to AUD $1500.